The Comisión Nacional de Emergencias (CNE) – National Emergencies Commission has issued a Green Alert for the Central Valley and Yellow for the Caribbean and Northern Zone, due to the cold front that has gripped the country since Saturday. In Limon, flooding of rivers has been reported, leaving a number of communities of Limon and isolated and residents taking refuge with family, friends, and neighbors, according to the CNE. 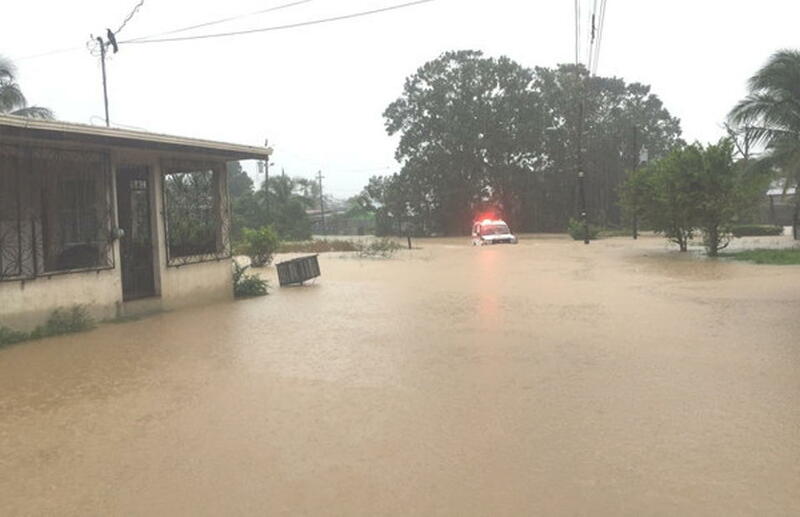 Ivan Brenes, president of the CNE, confirmed that heavy rainfall has caused the flooding of communities in the central canton of Limón, Guácimo, Matina, and Talamanca. 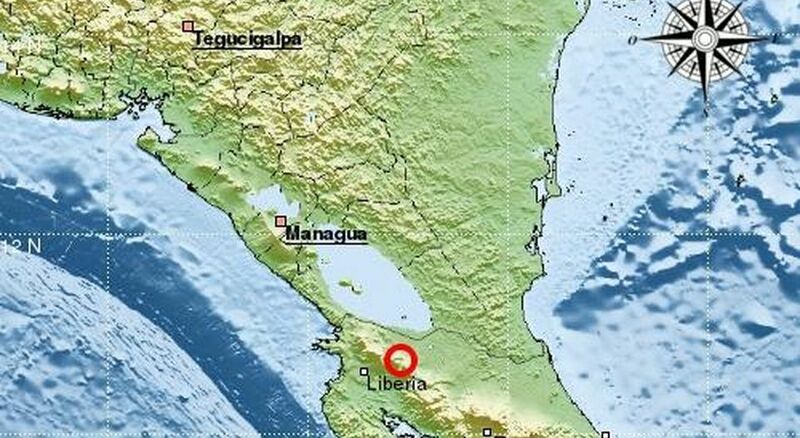 For this reason, a yellow alert was issued in Limón, Sarapiquí (Heredia) and in the northern part of the country. The inclement weather has also forced the closure of the Ruta 32 from San Jose to Guapiles. In the Central Valley, besides the strong winds, with gusts up to 60 km/h in higher altitudes, the temperatures are considerably lower from the usual (25 to 28 Celsius), with highs forecast between from 17 to 21 Celsius, lower in San Jose, 14 to 18 Celsius. In San Jose and Desamparados, the city has activated shelters for the homeless, so as not to repeat the death of two homeless from exposure due at the beginning of the month. The Instituto Costarricense de Electricidad (ICE) power failures has reported power failures in many communities. The Cruz Roja (Red Cross) and Bomberos (Fire Department) said they responded to more than 40 weather related emergencies on Sunday alone, mainly in the areas of Limón, Grecia, Alajuela, San Pedro de Montes de Oca, Guácimo, Zarcero, Matina, Talamanca, Escazú, Liberia, Barranca, Orotina, Uruca, Pacuare, Abangares, Pavas, Cartago, Turrialba, San Rafael de Heredia, San Ignacio de Acosta and Puntarenas. The Compañía Nacional de Fuerza y Luz (CNFL) reported serious problems with the power supply on Sunday in Rancho Redondo, Brasil de Santa Ana, and La Aurora de Heredia. CNFL director of power distribution, Luis Fernando Andres, said they have eight crews working around the clock to repair downed power lines.